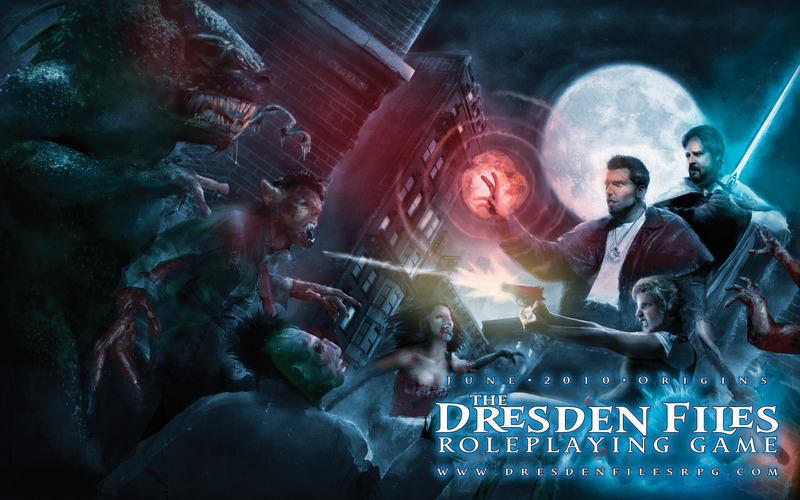 I’ve found myself immersed in the Dresdenverse of late, playing a great deal of The Dresden Files RPG. I’m running a main campaign of the game based in Portland primarily by play-by-post, as it is our “pick-up” game between sessions of Pathfinder and D&D. I’m also running two different sets of “side jobs” with my wife set in the same city. These have picked up in frequency and overtaken the main campaign in volume. My wife and I have also joined another RPG group in Oklahoma that play the game set in Seattle. That’s been a new and interesting experience–very positive. It’s a good group. Their game master saw my website online and thought it was interesting and met with us and we met with them and voila, new experience. So, lots of new Dresden action for us. What’s your latest RPG obsession?